This limited reserved grade tea from the Yunnan Province is one of the highest quality special black teas. 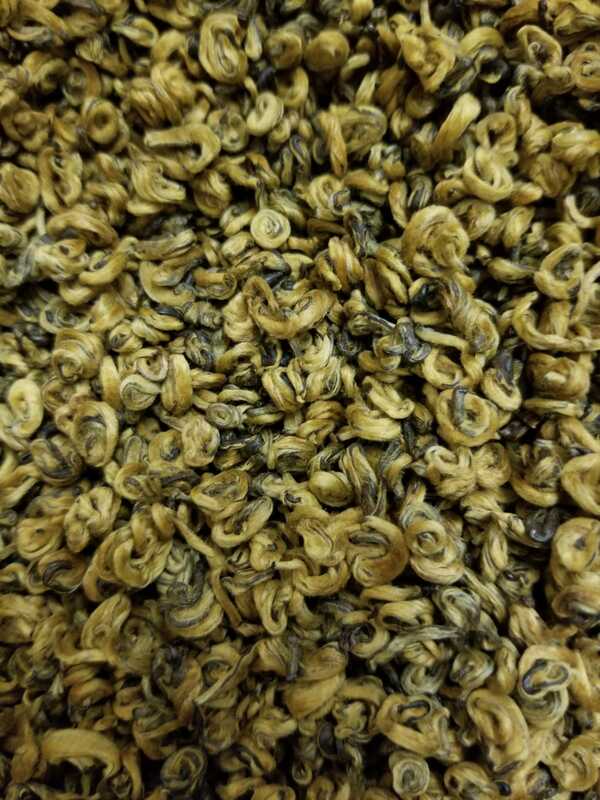 The tea is harvested in the spring and the high concentration of golden tips distinguishes this tea from other black teas. Tea lovers will enjoy this tea’s spicy flowery taste and its smoothness. A high concentration of flavonoids is found in this black. This compound helps reduce clotting of arteries and act as antioxidants. Free shipping with purchase over $60. Totally incredible, smooth taste, good bouquet and really awesome taste, did I mention that. If not let me say this is one of the best tasting teas I have ever had. Excellent tea! Even being brewed for too long doesn't have bitter notes. Rich taste, bright but soft. 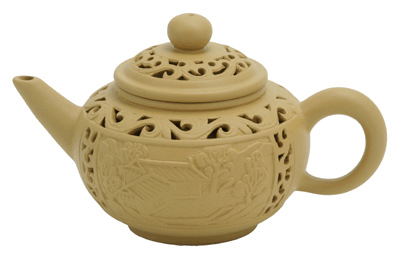 I'm a big fan of gold-tipped black tea from Yunnan province of China, and they tend to be pretty pricey. 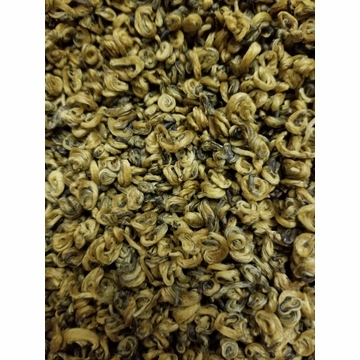 The Imperial Golden Yunnan black tea from EnjoyingTea.com falls within the expected range. And, it's good. It's smooth, smokey, with low acidity. But when I compare this tea with the Yunnan Black Tea (at 50% less in cost), which I've been purchasing from EnjoyingTea.com for more than a year now, I'd say I'd prefer the latter. I like a smokier, more robust, black tea and the regular Yunnan Black offers that. This was week and no yellow tips; was just a black yunnan, but even weaker. I bought this one several times. It is from my home town and has the familiar taste. I am glad that I could buy it from your website. However this most recent purchase both my wife and I find that the quality decreased, judging by the shape, color, and actual taste. Hope it could be back to original. This has a good deep and smooth flavor. Very nice complex,smooth black tea. Excellent flavor with many golden tips. This tea is one of my favorites. The flavor is smooth and is appropriate any time of day and with any meal. I also appreciate the tea leaves, rather than the ground tea, which is so common and never has the wonderful flavor of a leaf tea. My favorite Yunnan tea so far. Gold Yunnan teas are my absolute favorite variety. I've tried many varieties, and so far I'd have to say this is my favorite, at least of the varieties I can afford. If you don't have a super-refined taste for black teas, you probably wouldn't notice much of a difference between this and the Yunnan Black sold here. This is my #1 favorite so far. To me, the taste is light, sweet and refreshing. I will be getting more of this. This was my second experience with a yunnan tea, my first was with yunnan black (Dianhong), which became my favorite morning tea over the past few years. There is a gentle sweet flavor to Imperial Golden Yunnan which I enjoy. I'm still on a learning curve to discover the best balance of water temperature, amount of tea and steeping time, but so far a vigorous boil of about 30 fluid ounces with a rounded tea spoon of tea gives me a tea pot of pleasure. I am very pleased, not only with the title, but as to how quickly i received the product. Thank you very much for your product and for your expediency. Outstanding mix of flavors is found in the first and even a second infusion. the leaves are pretty high quality, especially considering the price. 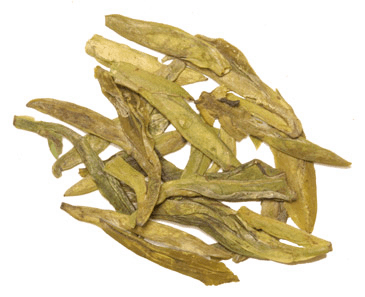 I have tried pure gold yunnan tea, and like it, but i also like the blend in this tea. i drink at least two cups a day. compared to brick and morter tea stores, this online store is clearly superior. Once upon a time, I was addicted to the Royal Golden Yunnan imported by the fondly-remembered Special Teas. I've been looking for a replacement for years now. I haven't found it, but EnjoyingTea's Imperial Golden is about as close as I've got. It actually has a bit more chocolate notes than I expected and makes me think of a Golden Monkey. Unfortunately, it is less peppery than I like. Still, a very good Yunnan. I recently tried Imperial Golden Yunnan because it had received good reviews. I must agree. I had been drinking a very high grade Yunnan from another supplier and I find this tea to have a more distictive flavor than that does. I really prefer it. I can't say that I am an expert at Yunnans but I have tried a lot of expensive teas from varouls online outlets and this tea holds up well against them. Layered, smooth, rich, true tea taste. With a splash of real cream, as I take it, a wicked beverage. EnjoyingTea.com rates 5 stars for providing a superb product and superb service. I also may add your shipping is Fast. At this time you have a happy customer. Excellent taste at a good price. It is worth every penny if you like a flavorful cup of black tea, I have purchased again because of how enjoyable it is, just don't over steep! High quality tea at a great price. I have been enjoying this tea for many months now. This tea has become my favorite: full but mild, no dry, tannic after taste. Amazing, full-bodied tea. Give this it a try... you'll be thankful you did. I have tried a lot of black teas and this one is hands down my favorite. It has a very unique spicy taste combined with malty undertones. Well worth the premium over regular Yunnan. The distinct spicy flavor is what sets it apart.